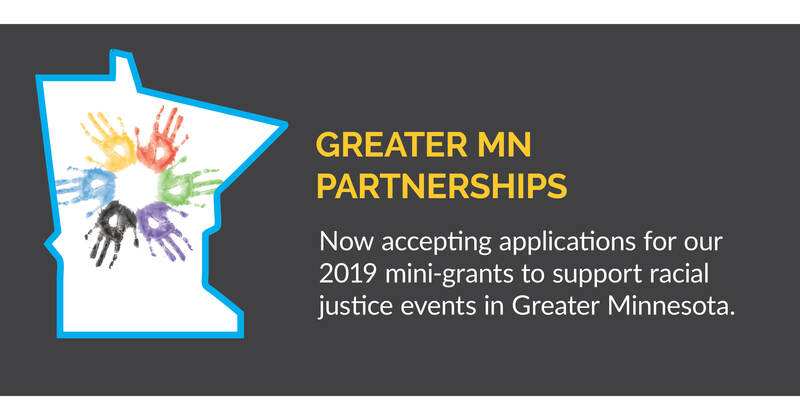 Grants of up to $2000 will be awarded to organizations and groups in Greater Minnesota to support locally sponsored events aimed at addressing racial justice and equity in their community. Local partners would take the lead in planning and implementation. The grant resources are limited and will be made available on a first come basis until the budgeted amount has been fully allotted. We are excited about partnering with colleagues in Greater MN and look forward to hearing about the possibilities you identify.